It's no secret that Windows 8 is an operating system that's geared towards touchscreen devices. This means if you haven't got a touch-enabled computer then you'll miss out on quite a few features and shortcuts of Windows 8. 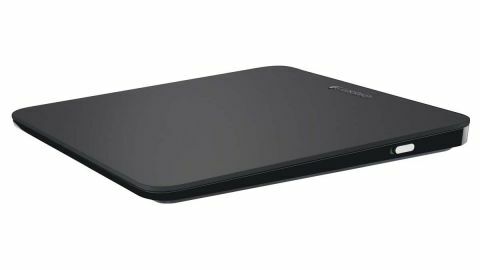 Logitech's T650 Wireless Rechargeable Touchpad is a solution to this, since it enables you to perform Windows 8 gestures no matter what your hardware is. Connecting it up to a PC is perfectly simple, and it comes with a Logitech Unifying USB dongle, which enables you to connect up to six compatible Logitech devices - such as the Logitech M600 Touch Mouse - to a single dongle. It's a good way to save USB ports - and of course to keep buying Logitech products. A quick download of some necessary software and a charge of the touchpad via the included USB cable later, and the Logitech T650 was ready to go. The glass top made scrolling through Windows 8's Start screen nice and smooth, and the touchpad was pretty fast and responsive. Gestures such as flicking from the right-hand side of the screen to bring up the Charms bar worked great, though tapping to select an app or file wasn't always that accurate. Overall this is a fine peripheral to connect to your PC if you're having trouble adjusting to Windows 8, priced at £69.99/US$79.99/AU$99.95.